Once upon a time in Los Angeles... there was a restaurant in the shape of a hat. And a donut shop in the shape of a donut. And a hotdog stand… well, you get the idea. Architects have clearly had their way with our fair city, indulging every impulse and pushing us beyond the confines of the colonial clapboard. After living in L.A. a while you may come to accept into your heart the dentist office aesthetic of modernism, and you may grant a quaint appeal to the occasionally overly-sentimental Mediterranean Revival. And while you most certainly indulge in occasionally gawking at gaudy mansions in the hills, you have yet to see it all. And there’s no better way to cap off this whirlwind tour of L.A. architecture than with a few examples of the bizarre and beautiful Storybook style. 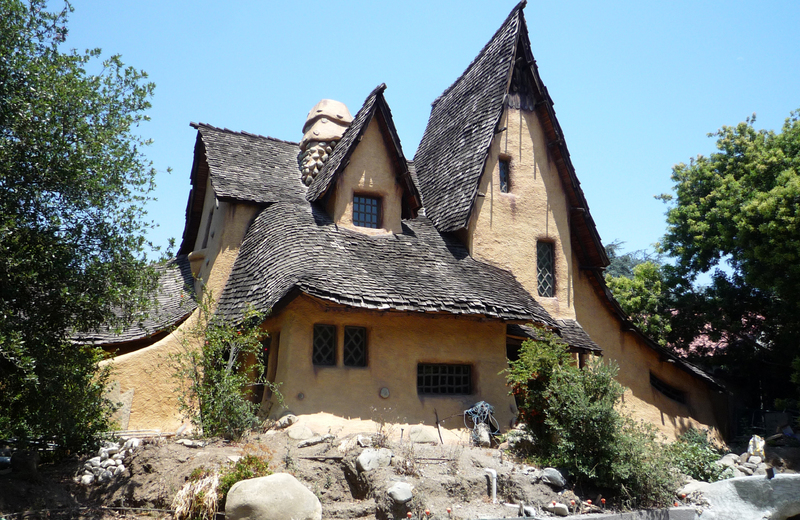 The Witch’s House in Beverly Hills is pretty warped and wicked (though they don’t always give tours). The Hobbit's House in Culver City is adorable (and for rent!). Los Feliz is home to the Snow White cottages, which are located behind Gelson’s Market on Griffith Park Blvd. These little bungalows have a fascinating history that includes Disney studios, musician Elliott Smith and even director David Lynch. Round out this radical tour of the brazenly bizarre with California’s noble (but short-lived) answer to Levittown, the Bubble House in Pasadena. It’s the country’s last remaining example of a wacky WWII-era experiment in mass modern living. We may tear our history down to make way for bigger and better dreams, but architecture in L.A. is clearly an ever-evolving group project that continues to push the boundaries of what a city can look like. Eighth and Grand promises to raise the bar yet another notch by bringing the best modern luxury living has to offer to DTLA. Stay tuned. We’ll see you soon.